i will be giving a one-day version of the revenant:sound workshop in the wonderful space at the can factory in brooklyn. we will focus on sound’s ability to define/describe space, and on our ability to resonate, alter, or create space by using sound. revenant:sound is a project that focuses on improvised sonic activities in site specific locations. voices are given to these spaces by producing sound using only objects found in-situ and the space itself. participants will focus on a development of attentive listening and the ability to successfully participate in group explorations, while learning to find sonic potentials in everyday materials. revenant derives its name from a concept of spatial memory, or, more specifically, from the long-term gestural memory of space; the ability of a location to retain an imprint or trace of activity or energy that has been present therein. participants are asked to bring one (non-musical) object from their living space, whose sonic potentials we will explore as a group. please book a place in advance as spaces are limited. curated by sonic circuits; thanks to jeff surak. several duos for this gig; i’ll be collaborating with jim, and brendan with richard. thanks to the philly sound forum for organising this one. 3 solo sets, and maybe some collaboration if there’s time, at an informal evening hosted by phill niblock in his legendary chinatown studio. first stop of a small east coast tour with jim haynes; organised by howie stelzer. thanks howie! i will be meeting with students over the course of two days, with a live performance in between, hosted by scott sherk. a homecoming gig and workshop in the town where i was born, in the same church hall where my mother used to organise hippy film screenings in the 70’s. workshop will be in the afternoon, with an 8pm start for the performance. 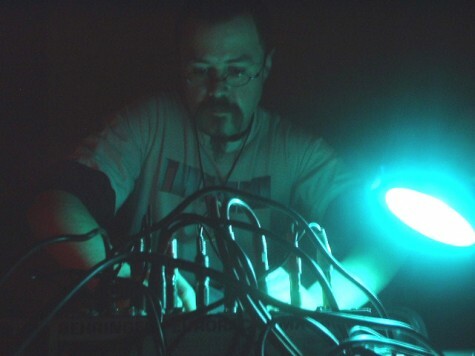 john grzinich has curated this, this closing event for avamaa 2009. i will be running the show on the day, and have also been invited to collaborate for a 2nd time with the japanese/swiss duo of hitoshi and carole kojo, aka jüppala kääpio. come early (there will be a night bus available going back to tartu after the show). we will be giving our revenant:sound workshop (subtitled sound as space / sound as language) in this tampere gallery over 3 days. one or more of the days may happen in a different location, so please contact me or the gallery for more detailed information. more information on the workshop can be found here. john, max and i will be giving a presentation about the extended revenant project of performances, recordings, and workshops at the MAA art school on the suomenlinna island in helsinki. taking advantage of our invitation to poland to play another concert at this wrocław gallery. i will be in poland for the opening weeks of the hell of things festival, with a live performance for the opening, and also giving a revenant:sound workshop (both with john grzinich). the festival will also feature a special listening room which will be playing non-stop shows from the framework radio archives during the whole course of the festival.